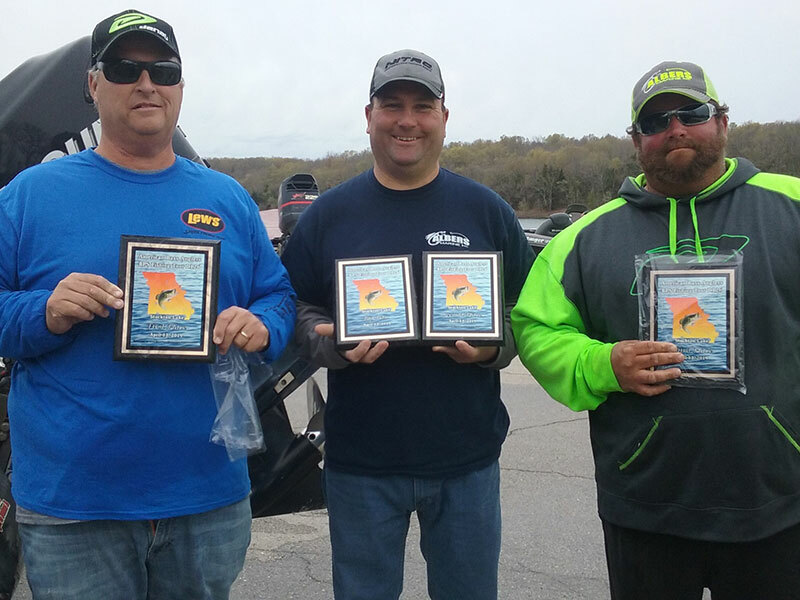 Kansas angler, Scott Tassi, topped the leader board at the Bass Pro Shops Fishing Tour D126 tournament presented by American Bass Anglers held on Stockton Lake March 16, 2019. After weather forced cancellation of two previous tournaments, this was the first one for the spring/summer events. Anglers launched from Old State Park Sat 7:30 a.m. The air temperature was about 30˚ with 40˚ water temps. It was a bright and sunny day with temperatures rising into the upper 50’s. 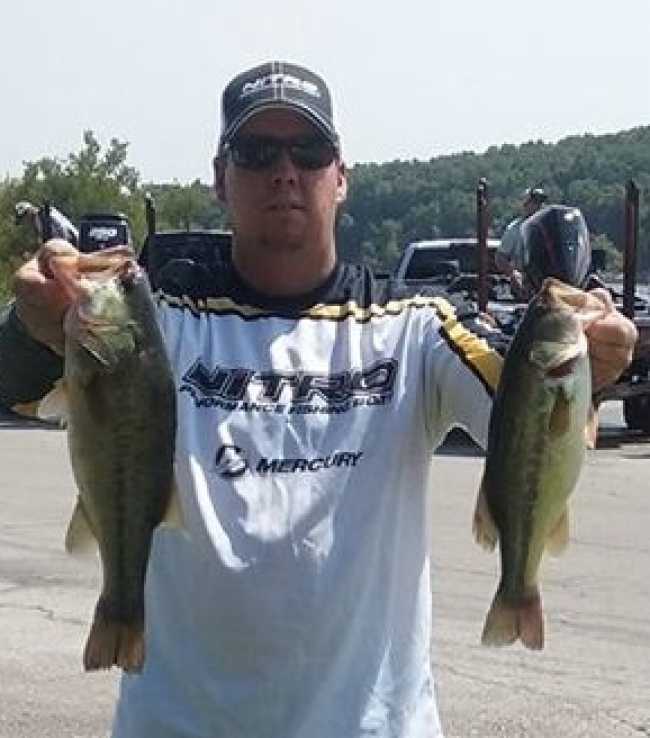 Stockton Lake was no match for Justin Angel September 29 when he fished American Bass Anglers Division 126 qualifying tournament and weighed in 19.44 lbs. His winning bag was anchored with Big Bass of the tournament, a 7.28-lb largemouth. He took home $1005 for his win. American Bass Anglers Division 126 held their 2-day Championship on Stockton Lake August 11-12. The weather cooperated, but the fish did not. One angler brought in a 5-fish limit both days; that was Justin Delk who won the tournament with a total weight of 22.64-lbs. Second place went to Jay Carter with 19.59-lbs which was enough to earn him D126 Angler of the Year. 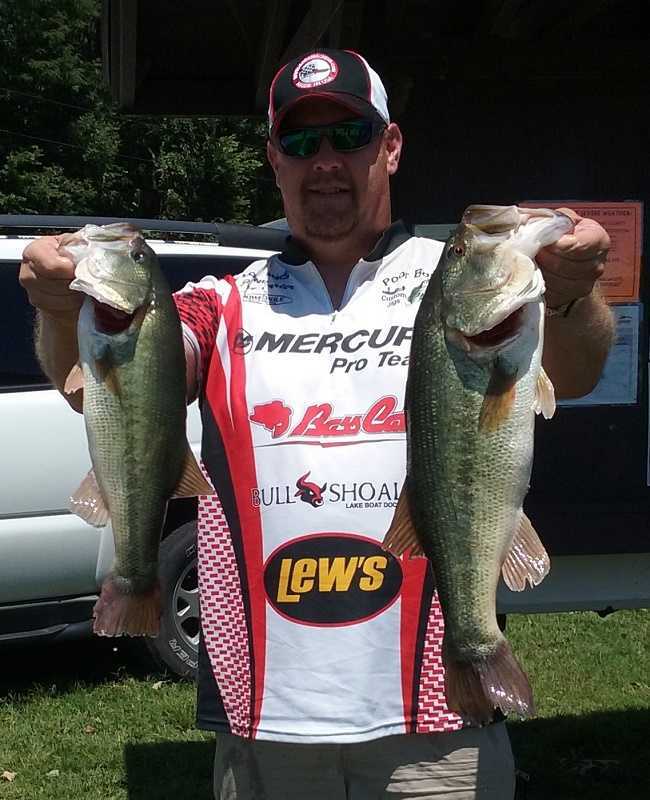 Scott Lawson took 3rd place with 14.44-lbs which included day-1 Big Bass weighing 3.57-lbs. Day-2 Big Bass went to Dale Boothe, who weighed in a 5.7-lb lunker. Only four 5-fish limits came to the scales in American Bass Anglers Stockton Lake D126 tournament Saturday, June 23. Justin Delk topped the leader board with 14.75-lbs anchored with a 4.26-lb big bass. That wasn’t quite good enough for Big Bass honors as Jay Carter’s big bass tipped the scales at 5.04-lbs giving him a total of 13.84-lbs and 2nd place in the tournament. Delk won $666 for 1st place; Carter’s BB and 2nd place win earned him $684. Thirty plus of the best bass anglers in the Ozarks are expected to converge on Stockton Lake Saturday morning, June 23, 2018 for the American Bass Anglers AFT qualifying tournament. Launch site is Hartley Ramp (Old State Park). Registration can be done at the ramp starting at 4:30 a.m. Weigh-in will be shortly after 2:30 p.m. Anglers will fish from 5:30-2:30. Athens, AL. – Jay Carter of Springfield, MO took the win on Stockton this past weekend with a limit weighing 14.17 and a big bass of 5.43 pounds. It was a cold morning in the mid-30s as 39 Missouri and Kansas anglers launch at the fourth of the American Bass Anglers Division 126 tournament. 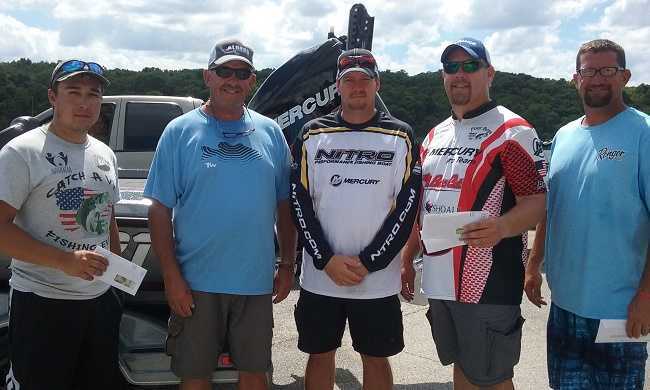 Jay won $1135 cash and points that will qualify him to fish the D126 2-day Championship. 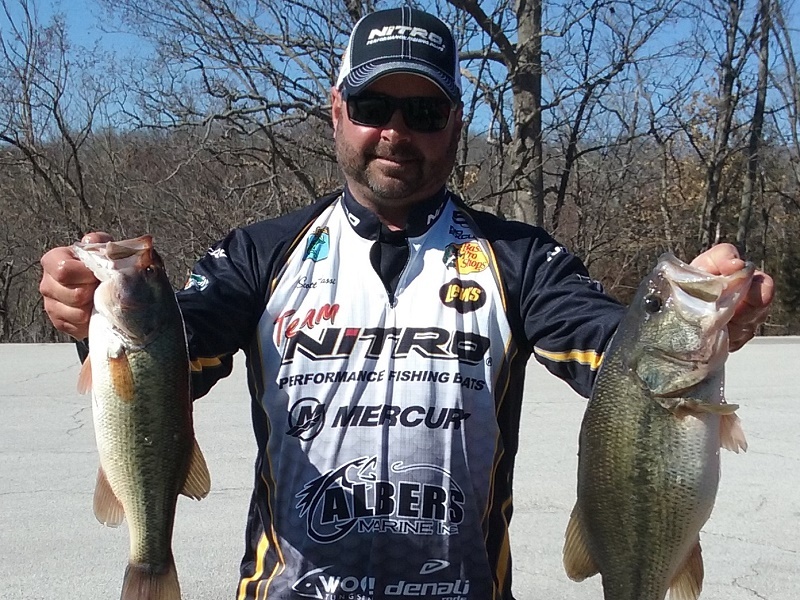 The top ten places weights ranged from 10.09 lbs to 14.17 lbs with several places within ounces of each other. Nine anglers weighed in the 5-fish limit; a total of 27 competitors weighed in at least one fish. Jerk baits, crank baits and jigs were the preferred lures. Fish came from all parts of the lake, from the clear water down lake to more stained water in the upper parts of the lake. To say the bite on Stockton May 13 was a little tough is an understatement. Twenty American Bass Anglers took out from Old State Park Ramp at 6:30 a.m. Only one of them returned with a 5-fish limit of bass. 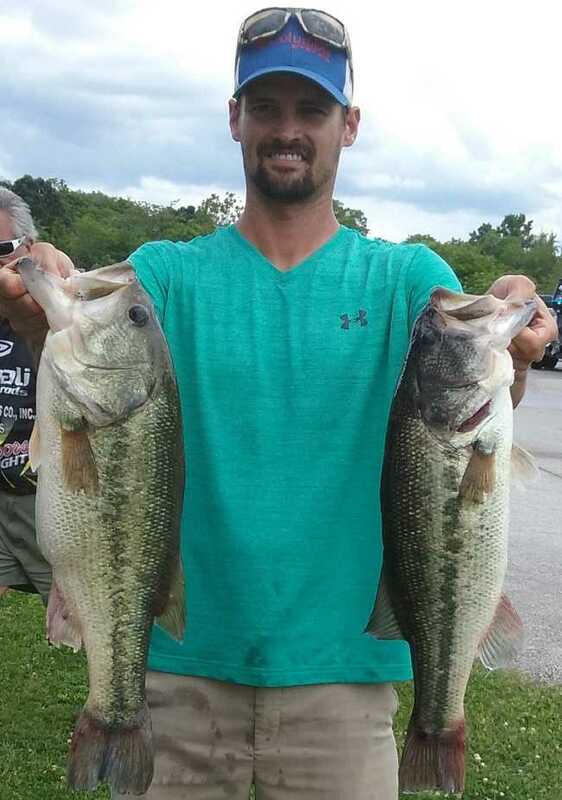 The Greenfield, MO angler Mike Dill took the win with that limit weighing 13.41 lbs, anchored with second biggest bass weighing 4.37 pounds largemouth. 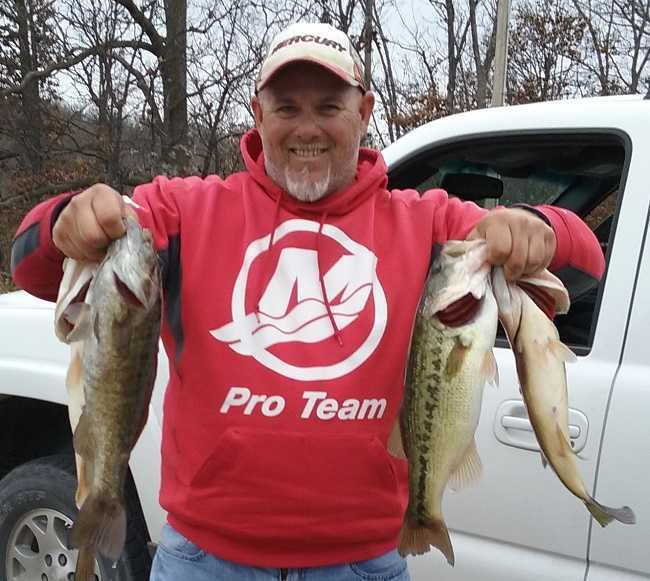 Scott Emmert of Bolivar, Missouri topped the field of competitors for the D126 event on Stockton Lake December 3rd with a five fish limit weighing 12.73 pounds. Emmert won $579. 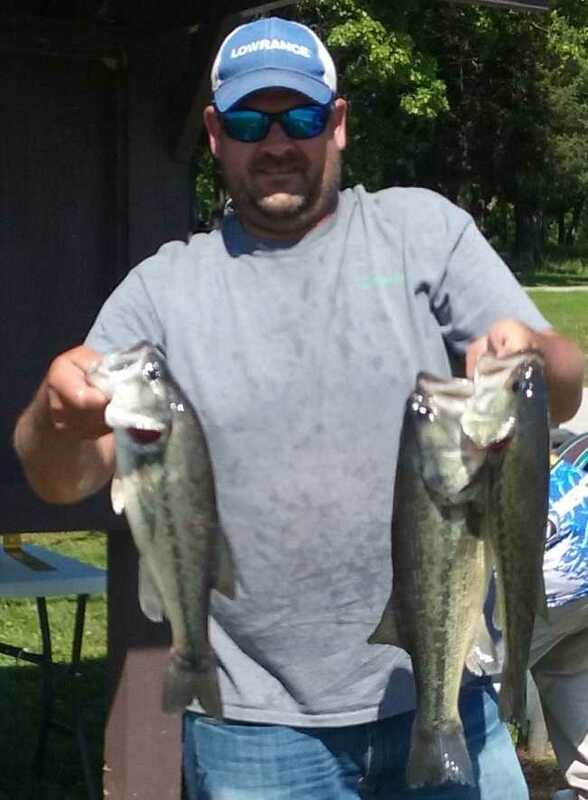 Kansas angler, Eric Craft of Erie, Kansas took first place with a 5-fish limit that weighed 13.98 pounds, anchored with a 5.85 pound Big Bass of the event. 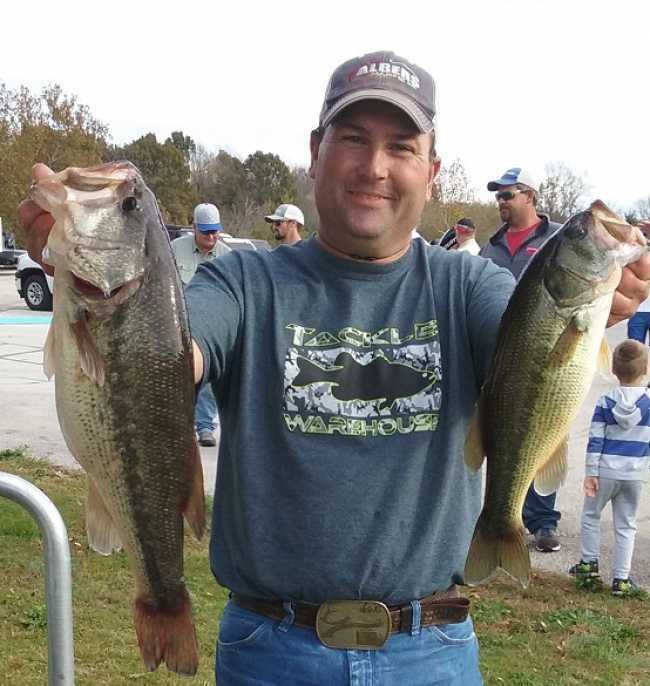 New American Bass Angler member, David Hughes won the 2017 season opener held October 8, 2016 on Stockton Lake. 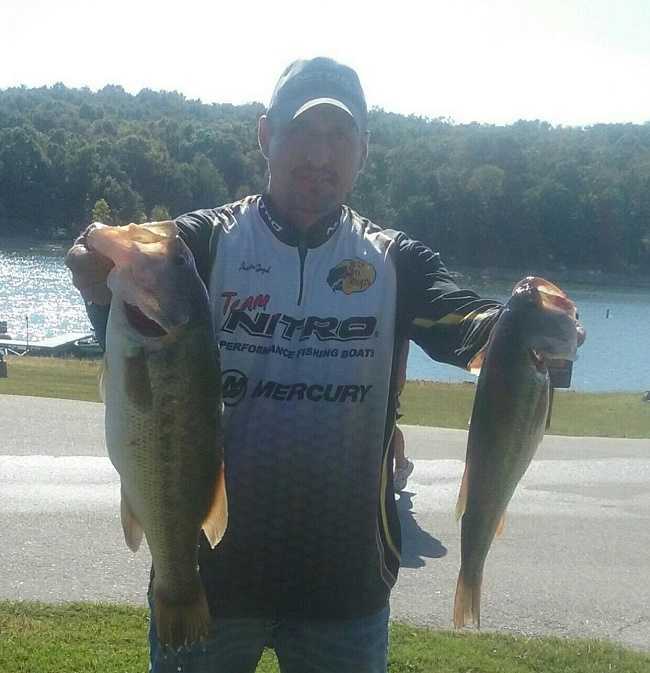 He brought in a five fish limit that weighed 11.70 pounds and won $500 plus $170 for his 4.02 pound Big Bass. 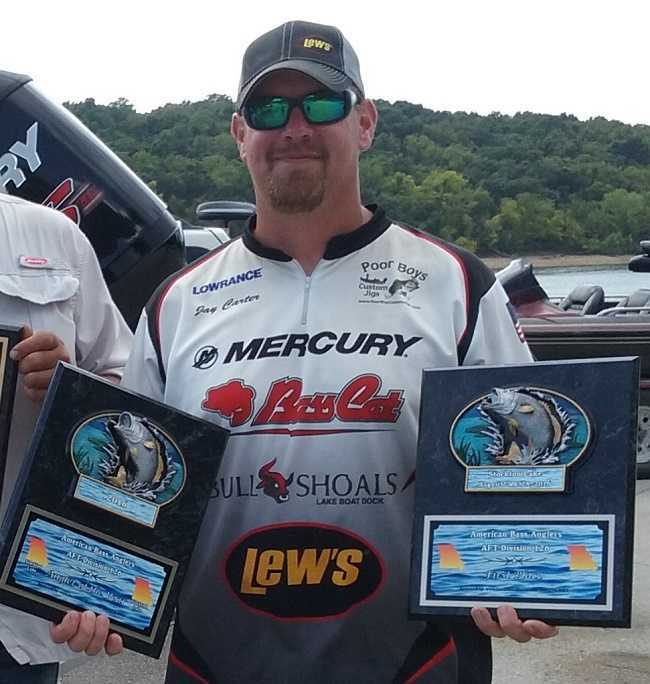 Jay Carter of Springfield, Missouri won the AFT D126 2-day Divisional Championship held on Stockton Lake on August 27th and 28th. Jay came back from a weight of 4.09 pounds on day 1 and brought in a weight of 14.72 pounds on day 2 with a total weight of 18.81 pounds for both days. His catch also included Big Fish for the second day at a weight of 6.27 pounds. Jay took home $1,204 for his efforts. 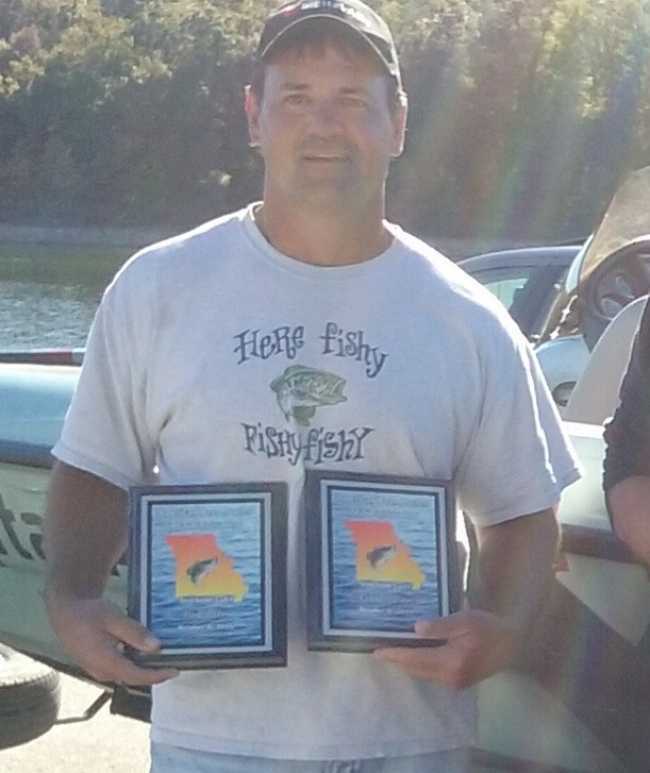 Jay also took the Angler of the Year title for D126. He will compete against 40 AOY's from other divisions and will have a chance to win a fully rigged Triton boat.